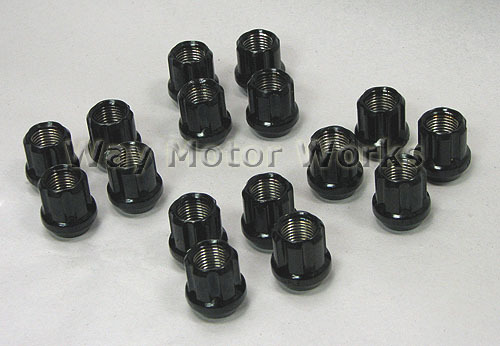 Muteki lug nut set of 16. If you have one of our stud kits and need nuts, or if your wheels don't allow for you to use standard lug nuts this is the perfect set for you. These are a tuner style lug nut that come with a special thinwall socket to install and remove. This is also a perfect theft deterrent. sold as a set of 16 nuts with socket.